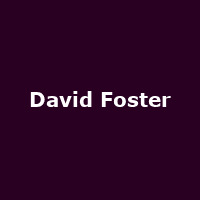 David Walter Foster is a multi award-winning Canadian musician, songwriter, composer record producer and arranger, composer, songwriter, and arranger. He was inducted into the Canadian Music Hall of Fame in 2007 and added to the Canadian Walk of Fame in 2002. Production credits include the likes of Andrea Bocelli, Toni Braxton, Michael Bublé, Chicago, Céline Dion, Jackie Evancho, Whitney Houston, Jennifer Lopez, Rod Stewart, Barbra Streisand and Westlife amongst others.